When it comes to a sweet treat, you can’t go wrong with a milkshake. 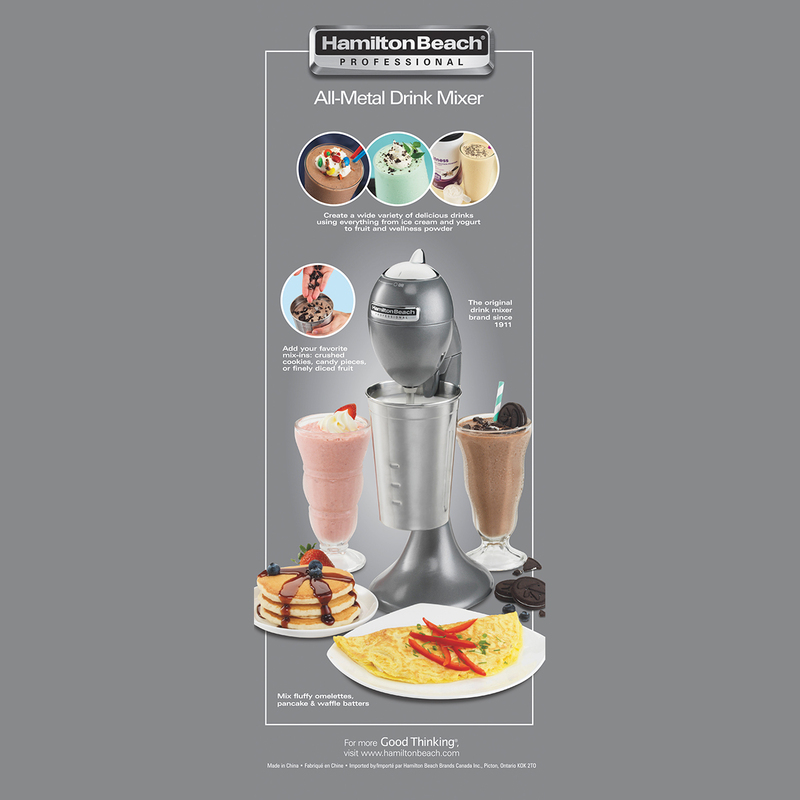 Whether it’s a classic chocolate with a cherry on top, or an extravagant mix of cookies, fruit and ice cream, you can make all your favorites in the Hamilton Beach® Professional Drink Mixer. 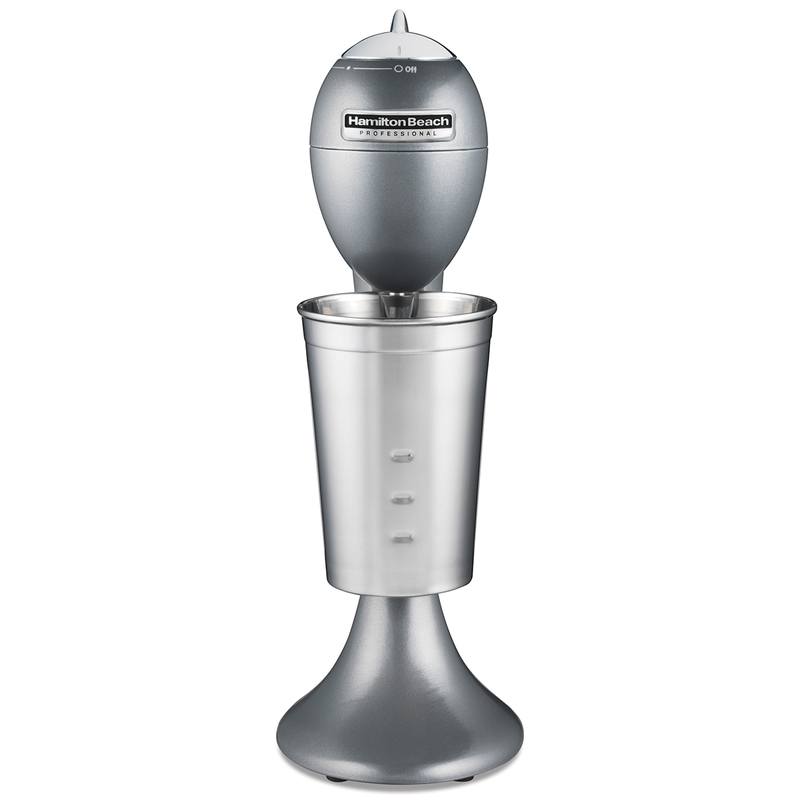 The original drink mixer brand since 1911, this all-metal edition features durable, die-cast aluminum housing and a commercial-grade mixing spindle with two agitators. 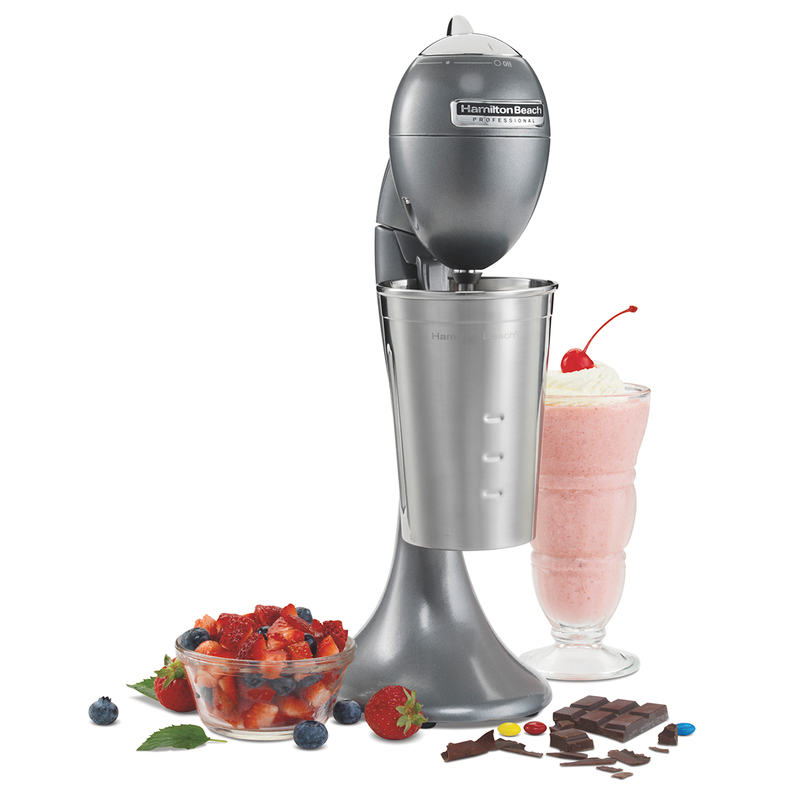 With two speeds and a tilt-back head, restaurant-quality malts, shakes or soda fountain drinks can be made right in your kitchen. And the best part is everyone can pick their own mix-ins. 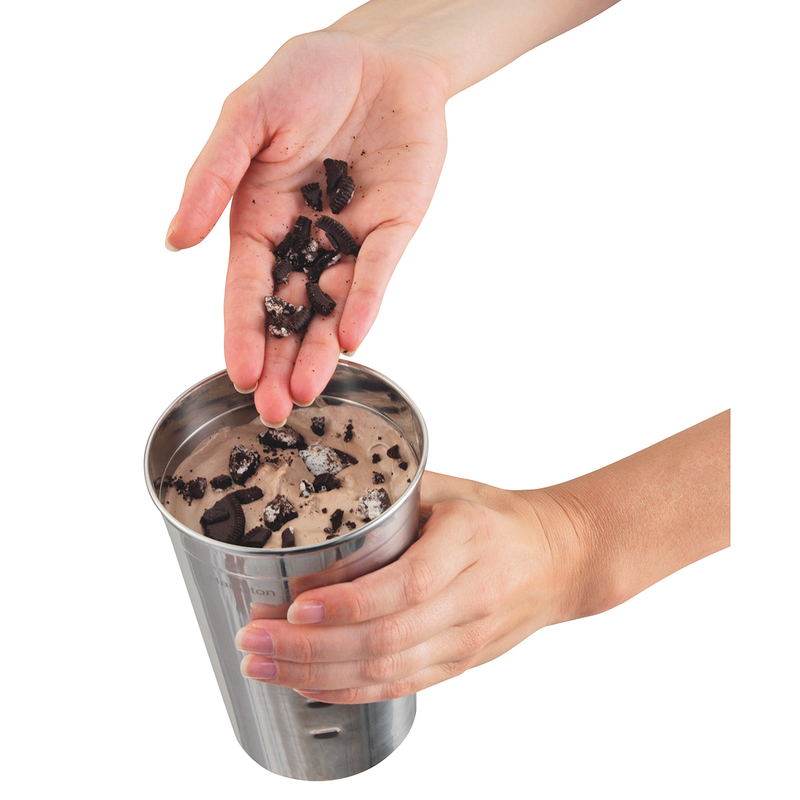 Start with ice cream and milk in the stainless steel cup, and then add anything from chopped berries to crushed cookies or candy. 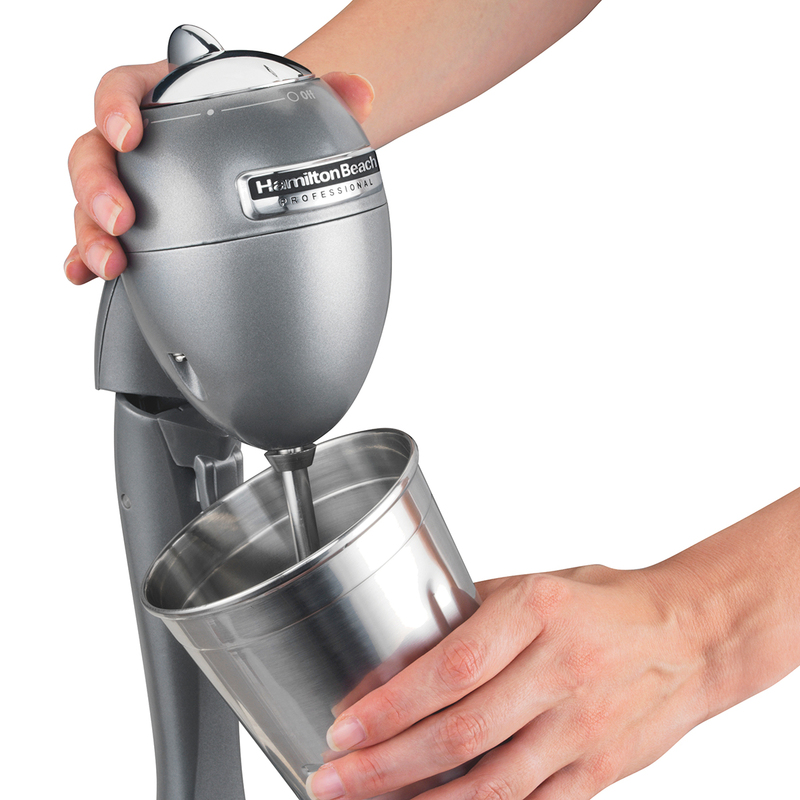 This versatile mixer is also great for making protein shakes or stirring up omelets, pancake batter and more. 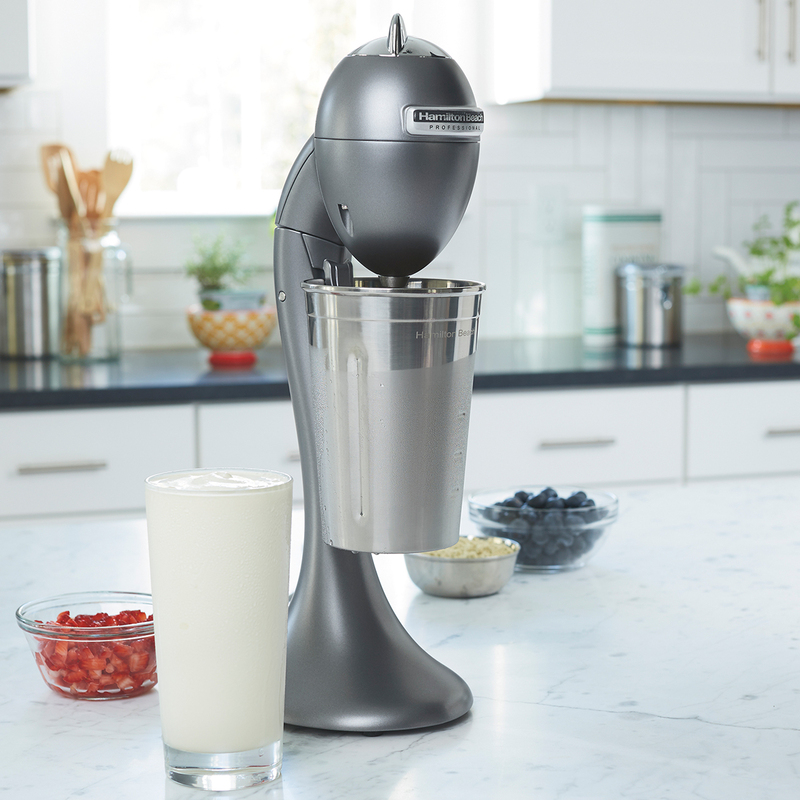 Create the perfect mix and texture thanks to the commercial-grade mixing spindle and two agitators. Two speeds give you better control over the process. 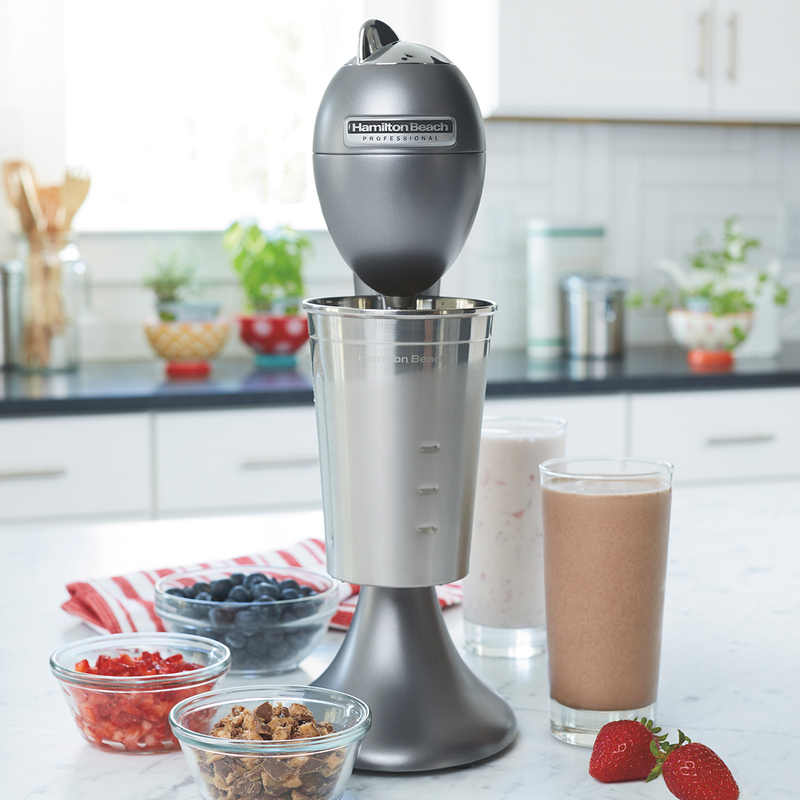 From crushed candies and cookies to bits of fresh fruit or protein powder – the possibilities are endless. Treat yourself to a grown-up shake by adding your favorite liquor. 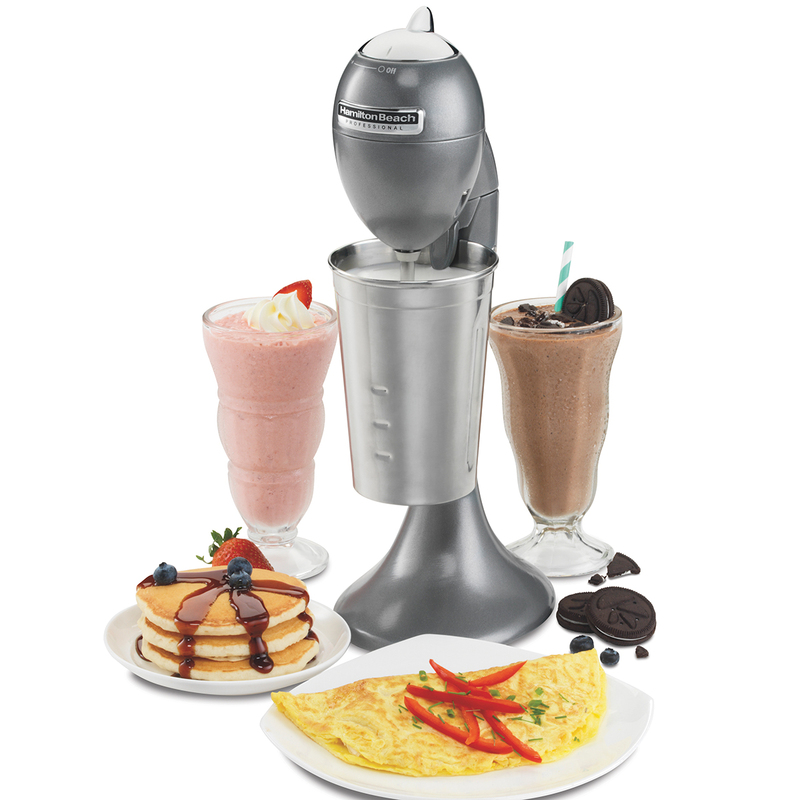 Use the drink mixer at breakfast to quickly mix up fluffy omelets and pancakes. The cup rest and support holds the cup in place for hands-free mixing. 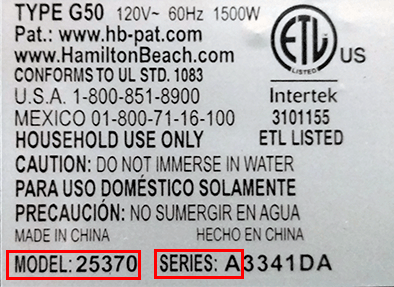 Once done, a tilt-back head makes removing the cup easy. 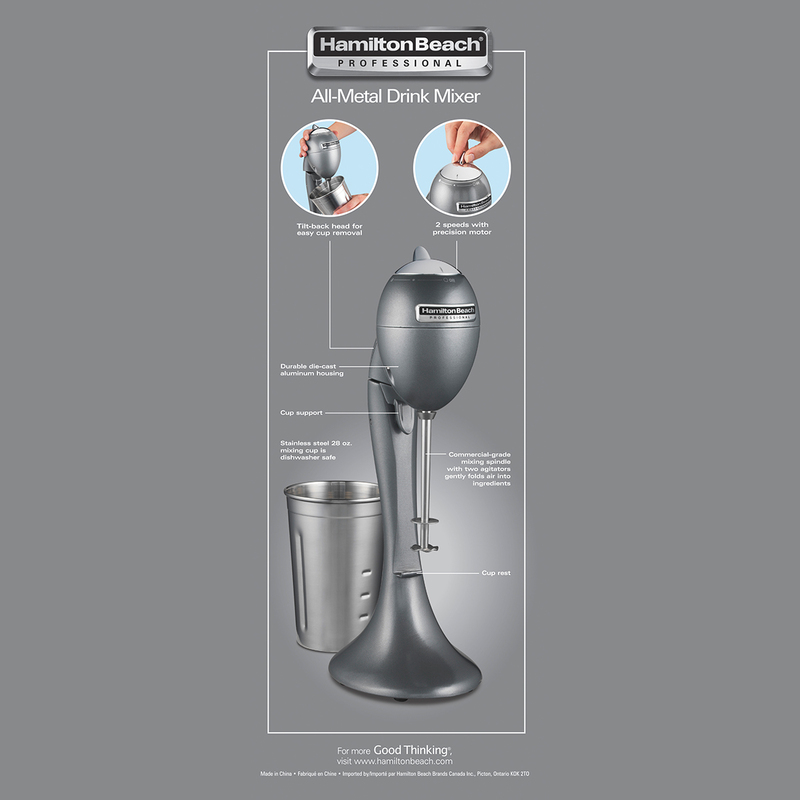 Hamilton Beach® invented the Classic Drink Mixer in the early 1900’s. 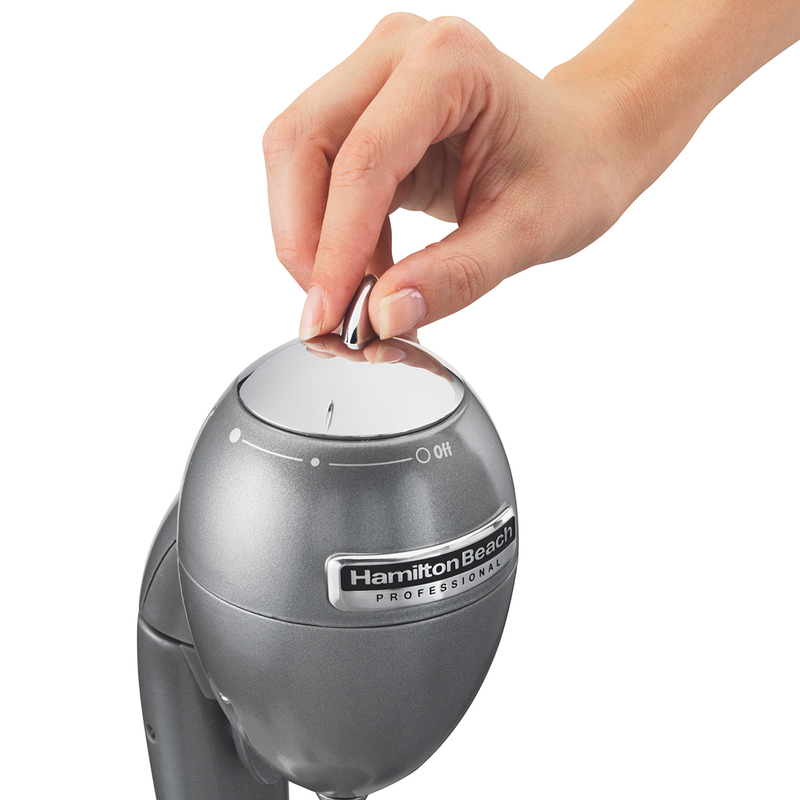 Over a hundred years later, people young and old are still enjoying blended drinks made with this legendary product from Hamilton Beach®. 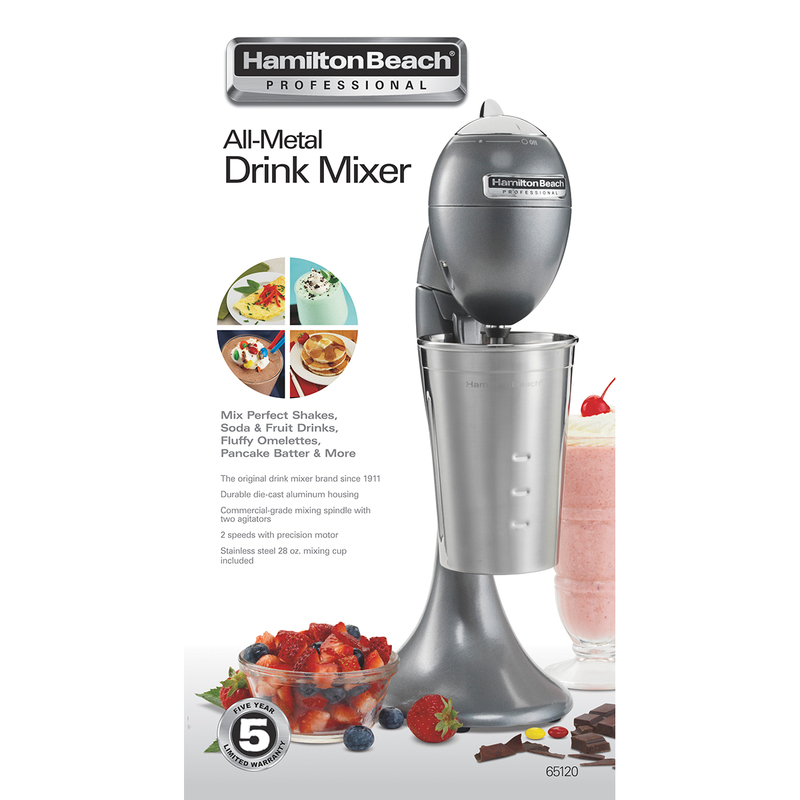 Hamilton Beach® Professional All-Metal Drink Mixer’s exceptional performance and superior durability is backed by a 5-year limited warranty.